(1) The design resistance and failure mode of a bolted angle flange cleat in bending, together with the associated bolts in tension, should be taken as similar to those of an equivalent T-stub flange, see 6.2.4. 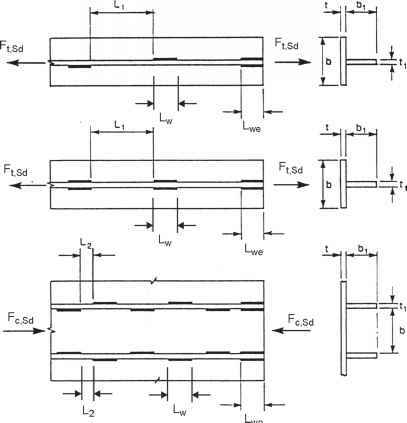 (2) The effective length £eff of the equivalent T-stub flange should be taken as 0,5Z>a where ba is the length of the angle cleat, see Figure 6.12. (3) The dimensions rmin and m for use in 6.2.4 should be determined from Figure 6.13.